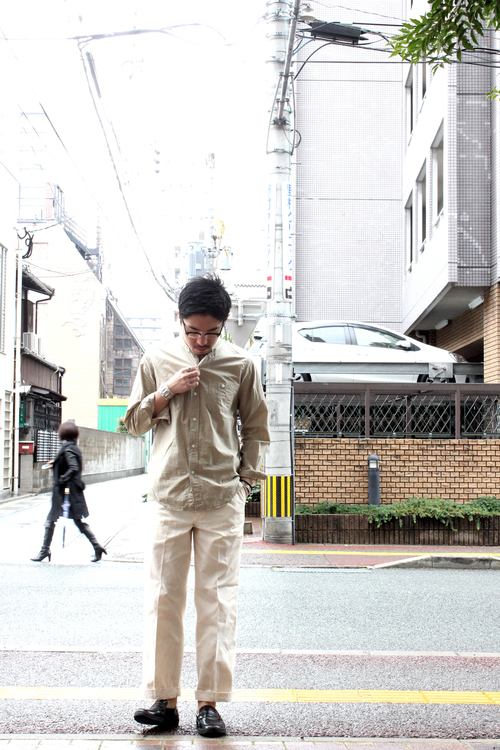 [ PHIGVEL ] NAVAL BAND COLLAR SHIRT -SAND BEIGE- new!! [ PHIGVEL ] UTILITY TROUSERS -NATURAL- new! !